Dar Lighting Eduardo single light wall fitting in an antique nickel finish complete with ivory cotton shade. The product code for this wall light is EDU0746. The modern fixture displays an L-shaped design placed over an ivory cotton shade and when lit diffuses the light beautifully. 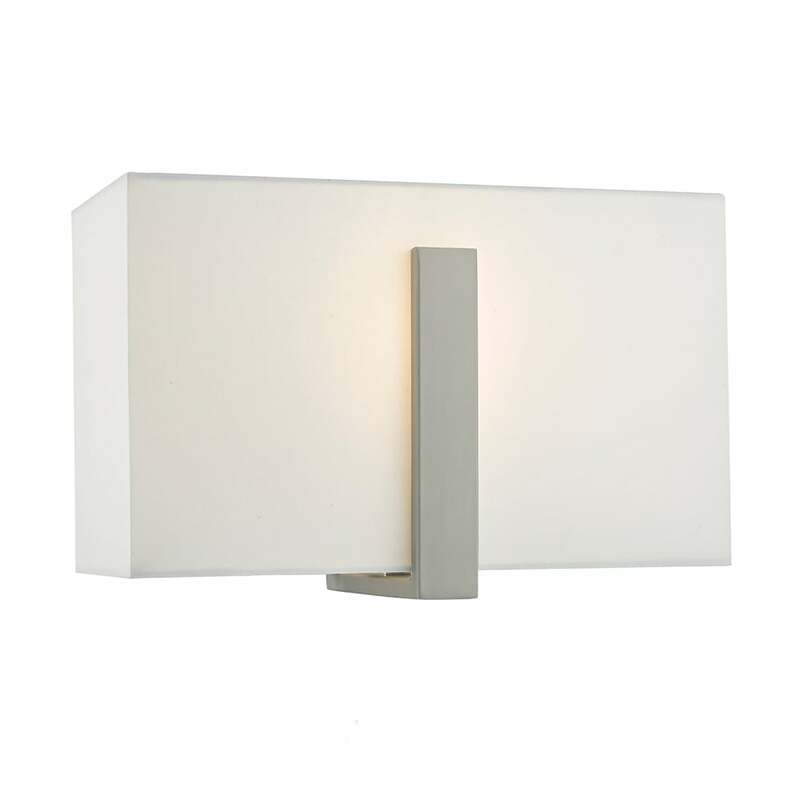 The simplistic yet elegant style of this wall light will be a perfect lighting choice for any contemporary space. This item is double insulated and operated by a discreet rocker switch located on the fitting. Also available to co-ordinate is a table lamp which can be ordered using product code: EDU4246.